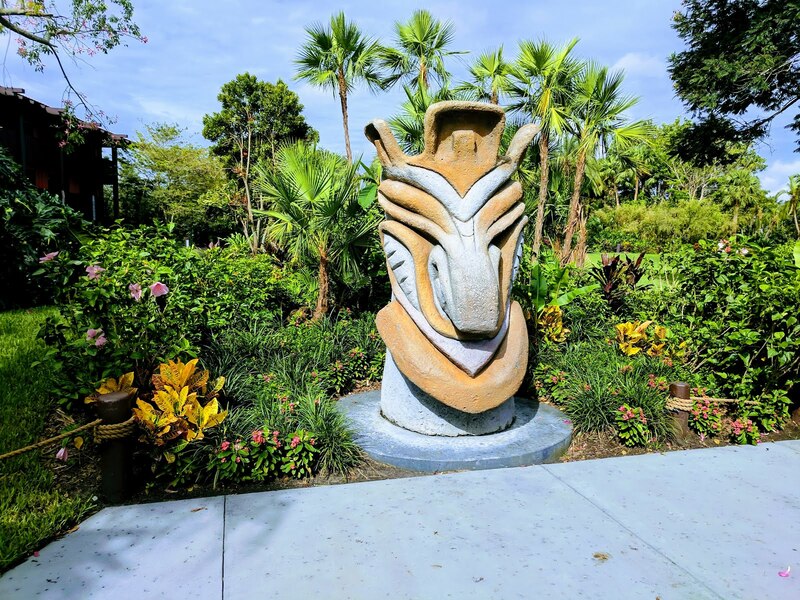 We walked from the Grand Floridian to the Polynesian one morning recently for breakfast at Kona Cafe and on that walk, we came across this large Tiki. He is outside one of the Longhouses, just a bit west of the Grand Ceremonial House. In what is seemingly a random location. But, he is big. And angry looking. And something that makes your stay at the Poly just a little.bit.more special. I've written about the Tiki Room at DLR here. And I've posted photos of some of the other art at the Polynesian including this painting and this print that we picked up in Boutiki.